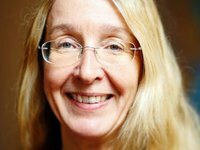 The International Renaissance Foundation (IRF) in an open letter to Ukrainian President Petro Poroshenko and Prime Minister Volodymyr Groysman expressed support to acting Health Minister of Ukraine Ulana Suprun and reforms conducted by her team. "Let us address you with a request to take notice that the International Renaissance Foundation that invested over $500,000 in promotion of the healthcare reform in the past years expresses compete support to initiatives of acting [Minister] Ulana Suprun and her team aimed at stamping out corruption in the healthcare system, creating new principles of financing the sector, increasing the quality and contents of professional education of doctors," the foundation said in an open letter spread by its press service last week. The IRF said that efficiency, transparency and openness of current top managers of the Health Ministry headed by the acting minister makes possible the promotion of required reforms and the foundation is involved in this process, in particular, the medicine and medical products public procurement system reform, the introduction of the medicine reimbursement system and reformation of the primary care segment. The foundation said that recent statements about inactivity of the Health Ministry are a sign of resistance of the old system and its representatives. "We believe that positive changes that have been introduced and those that are started would not be sponged out under the pressure of medical society interested in retaining old forms and processes in the area," the foundation said in the letter. The letter was signed by International Renaissance Foundation CEO Yevhen Bystritsky.